Size isn’t everything, as the saying goes. In fact, more and more mini-ITX products are being released, enabling us to build small PCs without compromising on hardware choices, overclocking ability or cooling. However, since mini-ITX was previously the preserve of low-power boards based on VIA EPIA, Intel Atom or low-power AMD CPUs, there’s confusion over whether mini-ITX is a genuine high-end contender, or a small featherweight. 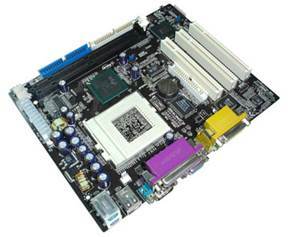 For this reason, we’ve gathered three of the most highly spaced mini-ITX Z77 motherboards, as well as four compatible cases, to find the ideal combination for building a compact, powerful PC. We’ll prove you don’t need a full-sized board to achieve high-end overclocks, or a colossal case to accommodate an ambitious cooling setup, and we’ll even show you how to build a mini-ITX PC too. To test the motherboards, we used an Intel Core i7-3770K CPU, a GeForce GTX 680 2GB and 4GB of Patriot 1,600MHz DDR3 memory. To test performance, we ran the CPC Media Benchmarks suite, alongside our own Arma II benchmark, before overclocking the boards and testing again. To test the cases, we fitted them with an Asus P8Z77-I Deluxe, along with an Intel Core i5-2500K overclocked to 4.4GHz, using a vcore of 1.3V. Alongside this, we used a 140mm Enermax Eco 82+ 620W PSU, a GeForce GTX 570 1.3GB and 2GB of Kingston 1,600MHz DDR3 memory. To cool the CPU, we used a Zalman low- profileCNPS8900CPU cooler. Meanwhile, the GTX 5701.3GB's cooling fan was locked at 70 percent speed, and the system was placed under thermal load using a combination of Prime 95 and Unigine's Heaven graphics benchmark.